What was most foreign to me in the tiny process? If you guessed 'tiny house insurance' then you may very well be a genius. Go you! Fortunately, I met a man who explained the in's and out's very thoroughly and now I'll share that experience here. Darrell Grenz is a full service independent insurance broker located in Portland, OR who founded his agency in 2004 and was the first to pioneer the tiny house product. His philosophy involves assessing each individual situation and catering to specific risks, rather than some blanket coverage. Why have THOWs been difficult to insure? A tiny house on wheels, or THOW, is hard to insure mostly because they are all so different and some so strange. Which is a really good thing, unless you are an underwriter of an insurance policy. Then it’s… well it’s not good. See, insurance is the product of trying to keep a lot of similar items divided into homogeneous categories and making an assessment of risk based on that. Of course, the wheels pose an obvious concern. There is a possibility of theft, although it can be easily avoided and is not a common issue. More prominently, is the change in fire protection class when moved. In a situation like moving from an urban into a more rural setting, or off-grid, a normal fire may become a total loss. Wind is also a concern that must be addressed with a tiny house. Tiny homes have not been a movement for very long. There has not been a lot of data collected yet because of this but more importantly it makes tiny homes a curious attraction. People want to check them out! This is a particularly subtle liability concern that must be addressed and includes issues like lofts and stairs without rails and skirting under the trailer, especially around the jacks. Who are using tiny spaces? All kinds of people choose to own a tiny home. The most common is owner occupied. Tiny homes, especially those on wheels, are great for in-laws. Of course, the best idea I know is sending a kid off to college in one. It’ll likely cost less than years of rent and you get a house out of the deal! Easy money. A lot of people have them as an option for vacation, seasonal and retirement homes. Many are used as studios, workshops, businesses and even affordable housing. Short term rentals are booming with so many people curious to find out if tiny living is right for them. Best to spend the weekend in one to find out! When can I get insurance? There are Builders Risk Policies for tiny home builders, both DIY and contractors, that protect the trailer and tiny structure materials from fire, theft and most other concerns for whatever timeline you need during the build process. This lowers the initial insurance cost, as the policy is based on project value. It can be adjusted at intervals and once it’s done, easily transfer to finished policy. 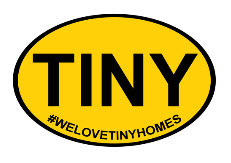 There are a lot of companies out there selling tiny house shells, allowing the homeowner to finish out the interior. Customization is a huge part of the movement and so more people are wanting to do the work themselves. If choosing to start with a shell, it can be insured at a much lower cost as a shell. And again, once it’s done just transfer to a finished policy based on occupancy. Incidentally, it can also be written that the shell is the finished product and be left that way. IMPORTANT: A DIY THOW build must be inspected and signed off on by qualified electrician for insurance purposes. Have an electrician hook up the breaker box and do this while the wires are all exposed. A tiny house does not need RVIA certification for insurance. A tiny house doesn’t need any certification for insurance. Certifications are good for financing (RV loans), parking and resale value. An insurance policy for a THOW does not need certification. RV loans are used to help many people finance a THOW. RV Loans require comp and collision which is on auto insurance policies. Because tiny homes are usually a homeowner’s or dwelling policy, without comp and collision, banks may not be familiar with the similarities between the two but can usually be convinced. Trip coverage is very similar to comp and collision. Where will the tiny end up? If you’re planning a stationary tiny house, then I have great news! A lot of times, a ground bound tiny home can be written into a typical homeowner’s policy. Even if a separate policy need to be purchased though, it’s way easier and much cheaper. It is critical to know that car insurance will usually cover bodily injury and property damage when moving a tiny home, but you will need a separate policy to cover the tiny home. If you plan on moving it at all, ask for trip coverage on the road. Ask the agent a lot of questions in general and do not move the tiny house without insurance. Ask the builder about their coverage. Does their insurance account for the move to final location or will this exceed the boundaries of their coverage? Many times, this is the case and the tiny home is not insured as soon as it leaves the premises. Know where the coverage starts and stops and fill in the gaps. Sometimes, with trip endorsement the builder can offer the additional move as part of the sales contract. Ask a lot of questions! If a towing company is hired out to move the house, ensure that their Motor Truck Cargo Coverage is greater than the value of the tiny home. A lot of times, the driver won’t know the details for certain so get a copy of the certificate of insurance from the tow company. Off grid can be insured, but typically represent a higher risk. Fact of life: Higher risk, higher premium. Also, either off-grid or grid-connected solar power systems must be included in the insurance assessment. More and more municipalities are allowing tiny homes to park in the back yard, but here an issue arises with the traditional ground bound home on the lot. Not all homeowner’s policies are comfortable with the presence of another home on the property. It can be seen as a nuisance and if seen during an inspection, can be grounds for canceling the policy. A lot of times they don’t know the tiny has a separate policy. Other times they don’t care and you just have to find another policy. Sometimes it’s a big deal and sometimes it’s not, but just know that it’s a concern worth looking into. So, the demand for tiny houses and insurance policies to protect them is consistent and construction quality is improving. There is now GPS technology that allows you (and the insurance company) to track the location of the tiny house at any time. Good news for policyholders is that very few claims are made and this trend tends to keep the premiums lower. What this all means is that the underwriters are allocating more resources in this direction and every year it is easier to insure tiny homes on wheels. If your living in or thinking of living in a tiny house, get insured. Contact an agent. They will have a third-party contractor come and inspect the tiny house, usually just the outside. Show them your electrical paperwork, you’ll install a GPS tracker so they can know what the protection class is wherever the home is placed. A couple dollars a day. Policies range from $500/y -$1500/y but most fall in the average range of $600/y-$700/y. No question about it though, the peace of mind is priceless.